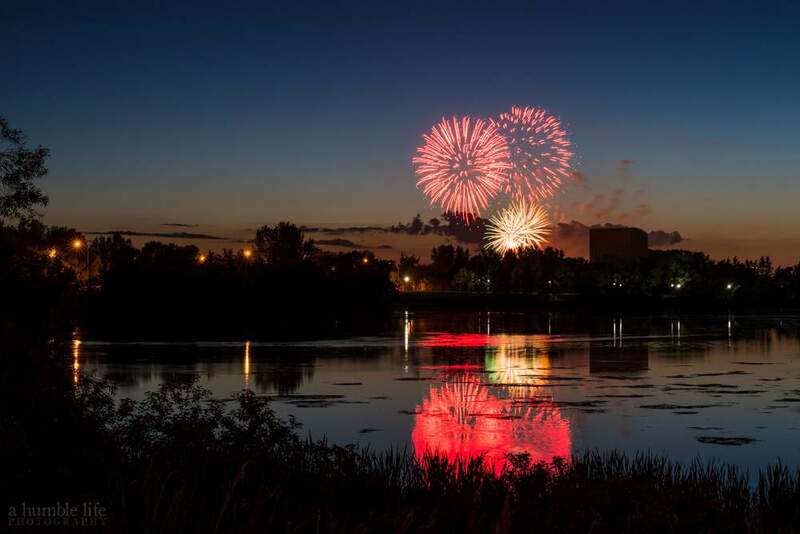 From pancake breakfasts to great entertainment, festivals and fireworks, there is plenty to see & do in Regina this Canada Day weekend! The RCMP Academy, “Depot” Division, is pleased to present the Sunset-Retreat Ceremony. This colourful event lasts approximately 45 minutes and includes military music, the lowering of the Canadian flag, the March Past, and a troop drill display performed by cadets dressed in the famous scarlet tunic. In case of rain, the event will be cancelled and an announcement will be made on local radio stations. A per person entry fee of $65.00 will include a BBQ supper after the 6KM events on Saturday evening. The day’s celebrations commences with the raising of the Canadian flag. Activities include ball tournament, bouncy castles, museum tours, public swimming, fireworks and BBQ. Best place to view the fireworks is the grandstand. Those watching outside the grandstand will see the upper aspects of this part of the show. Did we miss any events taking place in and around Regina? Please submit online.